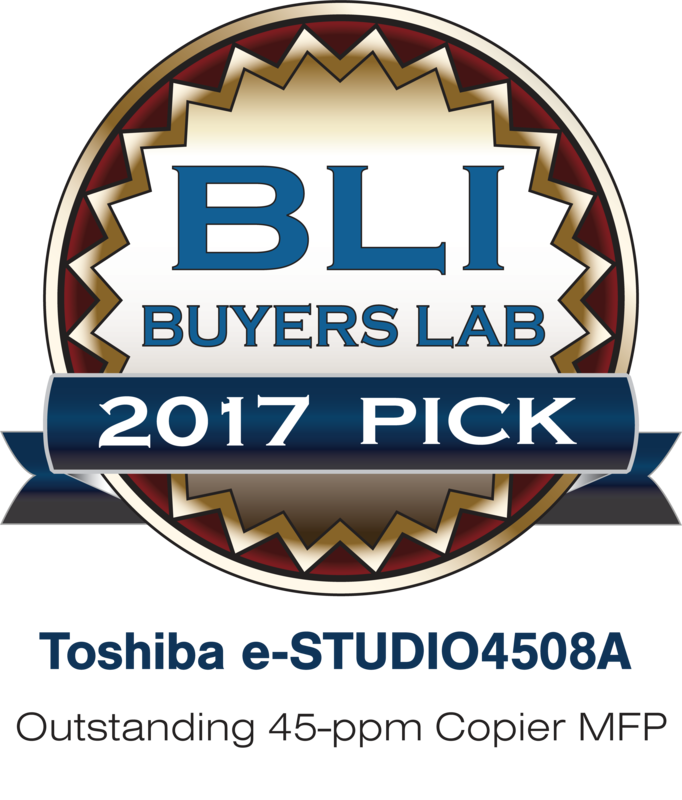 Toshiba America Business Solutions' e-STUDIO™4508A has earned Keypoint Intelligence - Buyers Lab's Summer 2017 Pick. Toshiba's latest monochrome product surpassed comparable multifunction printers in reliability, usability, security, value and features during six months of rigorous, side-by-side product testing. The global document imaging industry resource presents its 'Pick' awards twice annually to acknowledge the best hardware and software offerings in specific product categories. Keypoint Intelligence-Buyers Lab's unique and comprehensive testing assesses a wide range of features and performance factors that are most important for buyers. "Earning Buyers Lab's Pick Award is a terrific accomplishment for everyone at Toshiba associated with the product - from our engineering and operations departments to our sales and marketing teams," said Bill Melo, Toshiba America Business Solutions chief marketing executive. "Our e-STUDIO4508A has also received high marks from our customers who value the product's performance, feature set and reliability."